There are many self-claimed “Get Rich Quick” schemes available online. Without knowing how to spot online scam, it is difficult to judge whether the scheme is genuine or not. They usually offer a free sign up but with limited access and require you to either pay one-off charge or start paying the recurring monthly fee to continue your membership. I have been a victim of these scammers a few times, have lost a few hundred dollars to them, but have learned a good lesson each time. So I believe the money was well-spent in that respect..for my own naiveness & stupidity! I don’t want you to make the same mistake and, I’m pleased to say if you know what to look out for, it’s actually not difficult to spot a scam. So here is a list of 10 points that you should remember before joining any money-making program. The old expression applies here – if it sounds too good to be true, it probably is. It almost always is! Online business experts know great copywriting techniques. Scamming experts also know the same techniques in order to fool you. The first thing you need to look for is words such as “get rich quick” “easy” “you don’t have to work”, if they’re actually saying these words, cast a big question mark. There should be at least 7 days – or even one day – free trial period available online. Whether before or after it lets you join the scheme, you should be able to browse the site, check the menu to see what’s available and to get the feel of it. I wouldn’t trust if it charges you as small as $1 “administration fee”. If the scheme owner was truly confident to make you earn $10,000 so quick, why would they bother charging you such a small fee in the beginning? They should be able to demonstrate it for free, should have an established system to let millions of potential members to try without making them pay. No free trial = something’s hidden. I’d forget it at this point, even if it sounded so appealing. See how much time the website spends on telling you about the possible income. These figures may help you get the idea of your future potential income, but if a site repeatedly tells you this, it’s likely to be fake. Beware of the site owner’s income statements too. “To prove how much I made in February to you, this is a scan of my Paypal statement” – it may be real but may be not! This is obvious but before you join a membership – any membership – you want to know who the owner is. 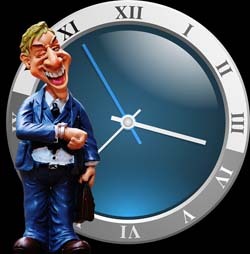 Whether a company or an individual, you want to make sure a real person is behind the scheme. I’d say 99% of time the owner’s identity is visible. If a scheme is to sell health food products, the owner may be a qualified nutritionist or at least have years of similar experiences. You read the information and make sure the scheme was not born yesterday but has a stable, reliable background. If the owner’s information and brief history cannot be found in the site, you wouldn’t trust it, would you? What you need to know is a business history of the owner. Anything rather than that is another copywriting technique to grab more attention. I’m always weary of scheme owner’s dramatic life-turnaround tales such as; 3 years ago I went through a horrific divorce, the wife took everything and I was left with nothing. Then I found this method and look at me now, I’m a multi-millionaire. The tale can involve any emotional events in the owner’s past such as death of a family member or poor childhood memories, may be true, but may be made-up. Always check if the story is relevant to the actual program. Emotional blackmail doesn’t necessarily mean the program itself is a scam fake, but the more dramatic the story is, the more I’d be sceptical! If there is an entry test to join the scheme – forget it! Where you need to answer a few questions and what you see in the next screen is “Congratulations! You’ve passed the test to become our privileged member”. At this point I’d close the window. “Due to its enormous popularity”, there are only 6 slots left. Or the entry will have to be closed in the next few days. Another copywriting technique to urge you to join. Check the site in a week time and there’ll still be 6 slots left and the door will still be closed in the “next few days”. I think video testimonials are nothing but distracters. A video of existing members thanking the scheme, how grateful they are, is believable. But actually anyone can pay someone to create a video like that professionally for as little as $5-10. I normally write down a summary of what they say on the video, as I watch. When the video’s finished I read it back to see if they said anything valuable. If the entire video is only saying how awesome the membership is – I decide it is just a cheap trick. I’d be reluctant to call it legitimate when they offer 100% money back guarantee but deduct an administration charge, even if they’re legally allowed to do so. They refund you 100%, but will charge you something else in return. It doesn’t sound fair at all, does it? Especially if the administration charge is hefty. You ask for $100 refund that you’ve paid, and the admin charge is $40, that’s an online scam! 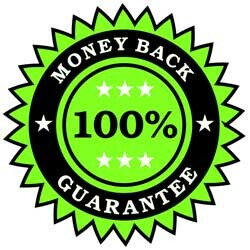 Some sites offer 90 days money-back guarantee, on condition that you send them a proof that you’ve followed the method for 90 consecutive days and appeal that it hasn’t worked. I think this is a psychological game that they’re playing. With 7-30 days money-back, you would try everything you could within the period and hurry for the refund. Whereas 90 days, you tend to forget, or get bored by the end of the period. The money you paid 3 months ago was probably a lot but doesn’t seem matter too much. Especially knowing you’d have to send various proofs which you don’t know what exactly. This is what the scheme provider expects to happen. Clever, huh? Needless to say, it is important to check the money-back policy before you decide whether to join or not. How to spot online scam – I’ve listed this in the end but this is the first thing you should really do. Google search the name of the program and see what others say. Read fairly recent ones, because over the years the program may improve or deteriorate, the payment term or policy may change and its reputation changes accordingly. It never promises you to make money quick & easy. It tells you that you need to work hard on it, and it will take time before you can start earning income. You don’t have to become a premium (paid) member, although you’ll get a lot of benefit from it. You can stay free as long as you like. Its program is not focused on how much you can earn, let alone indicates unrealistic figures. It is about learning to become an online business entrepreneur. 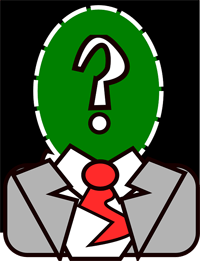 The owner identity is clear – Kyle and Carson as co-founder since 2005. Anyone can join – no ridiculous test to entry. Unlimited members network – over 500,000 members worldwide. No fake video testimonials, but hundreds of video tutorials, covering all areas necessary for online businesses – designs, technical advices, marketing, latest trends and social media. Free membership. Once you become a premium member, no money-back for that month. You can cancel any time. There’s no contract. Try reading other reviews – you really don’t find any bad reviews!